In his 26 years as a filmmaker, writer/director Wes Anderson has meticulously crafted a stellar career, earning consistent critical acclaim across his eight pictures. 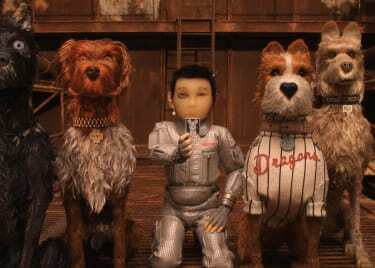 Now, after a four-year hiatus since his last work, The Grand Budapest Hotel, which earned nine Oscar nominations, Anderson returns to the big screen with a new animated adventure, Isle of Dogs. Set in a dystopian future Japan where all dogs have been quarantined to a garbage island after the spread of a “canine flu,” the film follows young Atari Kobayashi (Koyu Rankin) as he journeys to the island to find his dog Spots (voiced by Liev Schreiber). The journey is arduous, but he’s assisted by other dogs on the island. Anderson’s first animated movie, Fantastic Mr. Fox, was an unexpected treasure, and this latest effort could become his masterpiece. Anderson has always been able to attract big names for his films, many of whom have become frequent collaborators. Anderson launched his career with Owen Wilson and has written films with him, while Bill Murray and Jeff Goldblum have become regulars in his movies, too. Not only are some of his frequent collaborators returning for this film, but Anderson has gathered a new ensemble of insanely-talented performers, including Bryan Cranston (Breaking Bad), Greta Gerwig (Lady Bird) and Courtney B. Vance (The People vs. O.J. Simpson). The center of this stellar ensemble is the debut performance from young Japanese-Canadian actor Koyu Rankin, as 12-year-old Atari, whose search for his dog gives the story its shape. While much of the cast are English-speaking performers, Anderson has Japanese characters speaking in Japanese, including Atari. Though Anderson’s ensembles and distinctive visual style are consistently recognizable aspects of his films, the scripts – typically written or at least conceived by Anderson himself – are the most important part of his appeal. Anderson’s writing prizes intelligent character development and subtle humor delivered through dialogue. He and his co-writers always find new ways to tell unique stories. His previous entry into stop-motion animation was co-written by he and Noah Baumbach, with whom he previously collaborated with for The Life Aquatic with Steve Zissou, but it was also an adaptation of Roald Dahl’s children’s novel, Fantastic Mr. Fox. This time, by melding his original storytelling with the animation of Fantastic Mr. Fox, and with the help of collaborators Jason Schwartzman, Roman Coppola, and story newcomer Kunichi Nomura, Anderson will be able to tell a truly extraordinary tale. Stop-motion animations is one of the most fascinating and complex storytelling methods. It requires the dedication of incredible time and effort to designing characters and perfecting their movements. The animation of Mr. Fox was, like the visual design of all his films, an idiosyncratic type of stop-motion that set Anderson’s effort apart from other similar movies. The style connected to Anderson’s live-action work, with its quirky color tones and character designs. The animation in Isle of Dogs has clearly been even more refined to match his style. A film and its reviews are two very different things, but we can get info from early notes about Isle of Dogs. 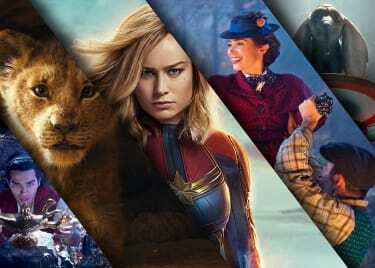 Following its debut at the 68th Berlin International Film Festival, the film has already earned glowing reviews, currently maintaining a 97% approval rating on review aggregating site Rotten Tomatoes based on 30 reviews. 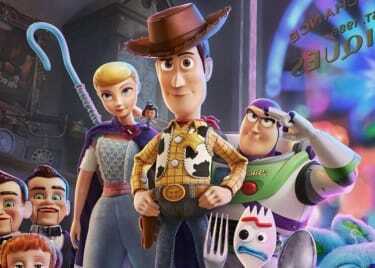 Critics have praised nearly every aspect for the film ranging from the characters to the technical skill of the animation, with many also noting Anderson’s tributes to Japanese culture and the works of directors such as Hayao Miyazaki and Akira Kurosawa as highlights of the film. Anderson also took home his second Silver Bear award from the Berlin Film Festival, having previously won the Jury Grand Prix Silver Bear for Budapest, and winning for Best Director for Dogs. 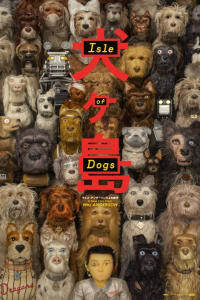 Those notes are good indications that Isle of Dogs is something special, and we can’t wait for everyone to be able to see it, beginning on March 23.